At Mobile Truck Rental, we do everything we can to help guarantee that your Parramatta truck rental experience is a memorable one. Firstly, we deliver our hire trucks directly to your doorstep, so there’s no need to spend valuable time and money collecting the vehicle from us. Secondly, we come and collect the vehicle from you at the end of your lease period, no matter where you are located in Australia. So there’s no need to return the vehicle back to us. At Mobile Truck Rental, all of the legwork is done by us. Hiring a truck from Mobile Truck Rental couldn’t be easier. Simply fill out the quote form, and our fast approval process will ensure that a rental truck is sent out to you in record time. Alternatively, get in touch with a friendly staff member now on 1300 799 317. Our staff can advise you on the best vehicle for your needs and create a fully customised package deal that provides real value for money. Whether you need a rental truck to shift your personal valuables or an unbreakable piece of machinery to complete business-related errands, our Pantech trucks guarantee that all tasks are carried out in an efficient manner. Our hire trucks are typically used to undertake DIY removals, representing an exceptional solution for transferring personal artifacts, large and industrial equipment or relocating the contents of an office space. For invaluable tips and advice on moving heavier items, be sure to cast your eyes over our guide to loading and unloading heavy equipment. No matter what your hire truck needs are, are friendly staff will ensure that the entire rental process runs smoothly and without hassle. At Mobile Truck Rental, we make Parramatta truck rental affordable. Our vehicles are all immaculately clean, maintained and serviced on a frequent basis and come fully equipped with all the gadgets you need to perform your transport duties in total comfort. Competitive rates with no hidden charges. 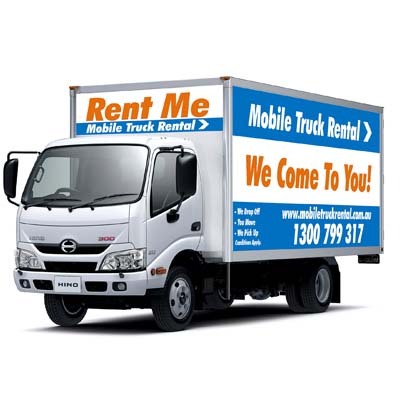 At Mobile Truck Rental, we make Parramatta truck rental affordable. All of our trucks are kept in pristine condition, undergo regular maintenance checks and are outfitted with everything you need to accomplish your transport tasks with safety, efficiency and in complete comfort. Whether you need a rental truck for 3 days, 3 weeks or even 3 months or more, we can tailor a fully personalised hire package to suit your precise specifications, ensuring you never spend more than you need to. As an additional bonus, we offer outstanding deals for customers seeking longer term hire. The longer your lease period, the cheaper your daily rates are! Avoid paying outrageous sums of money to have a removalist do the work for you. Do the smart thing and hire a rental truck from anywhere in Parramatta. You’ll be saving yourself a small fortune by doing so and our super convenient service ensures that you don’t have to waste time and money driving to the rental site to collect your vehicle or driving to another one when you reach your final destination. We do the collecting for you. We drop your hire truck off at your specified address and we collect it from you once you’ve finished using it. It’s that simple. For a free quote concerning removal truck hire throughout Parramatta, contact the team at Mobile Truck Rental now!